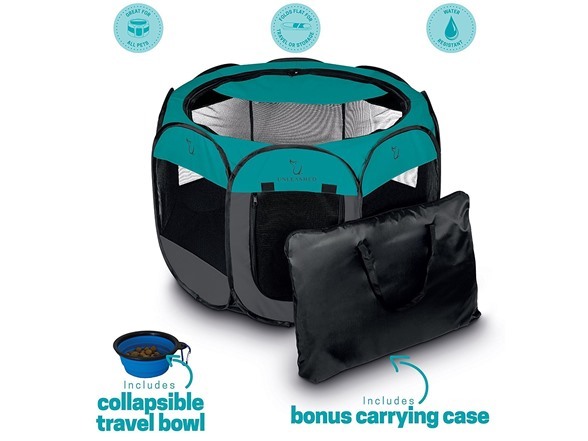 The Unleashed Pets Portable Foldable Pet Playpen can be used to keep your pet safe and secure in any environment. 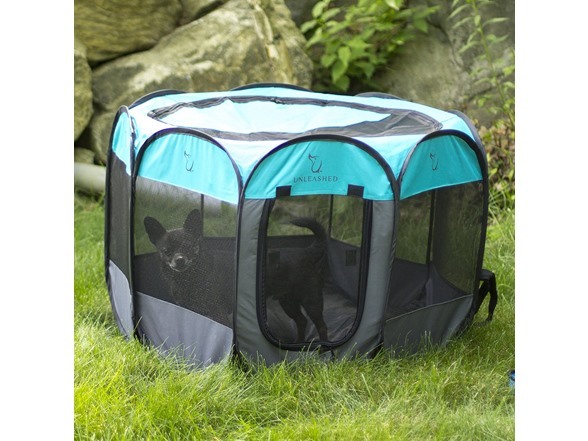 It can be used as an exercise kennel for your dogs, cats, rabbits, and other pets. 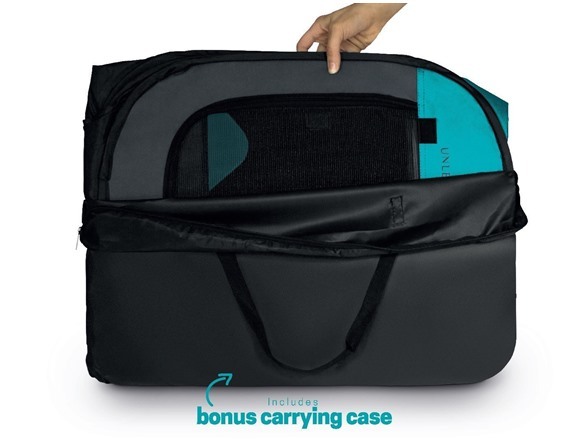 Great for travel, camping, trips to the park, relaxing indoors, house training, and exercise. 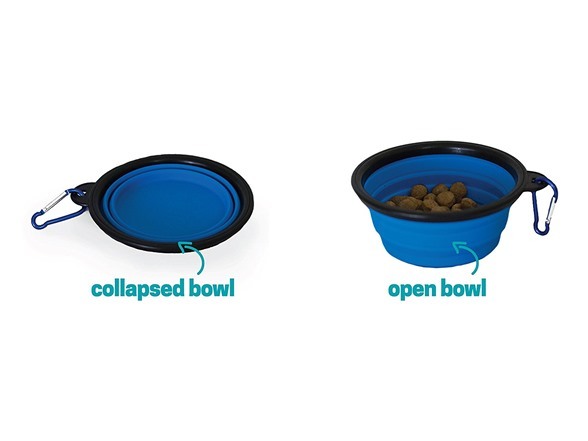 Durable material and reinforced corners. 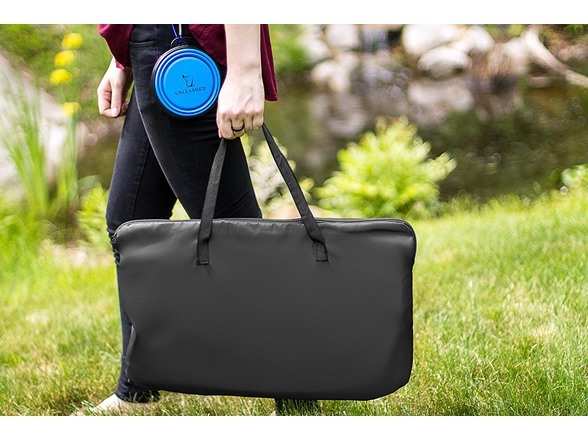 Made of ultra-durable 600D Nylon. 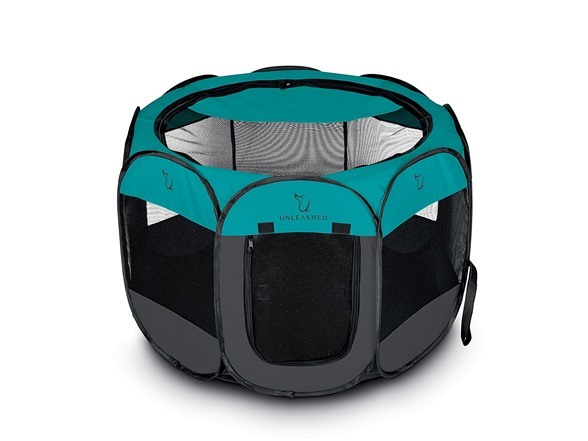 Breathable mesh in the door, windows and removable roof. 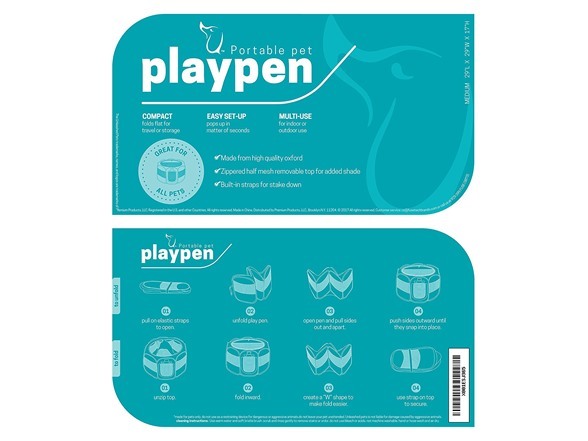 Removable zippered top can be removed easily removed for indoor use & closed for outdoor use to provide shade. 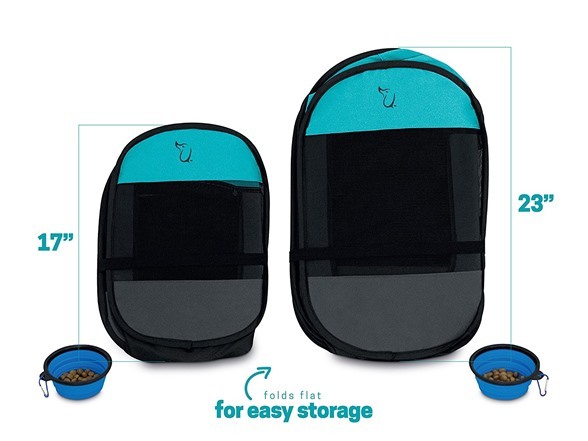 Zippered door provides easy in/out access for your pet. Close the door to keep your pet safely inside. 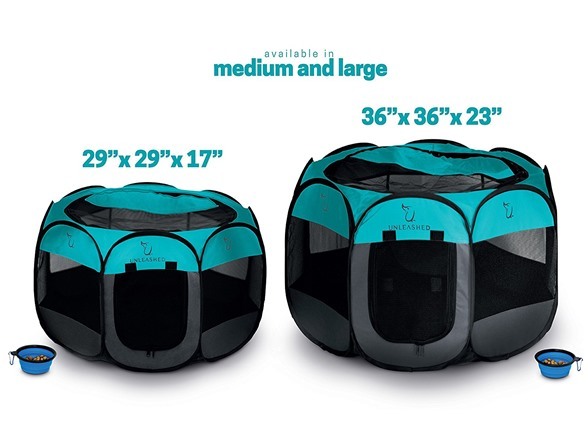 Spacious and Roomy 8-Panel interior allows plenty of room for your pet to exercise or relax comfortably. Large Dimensions: 36" x 36" x 23"